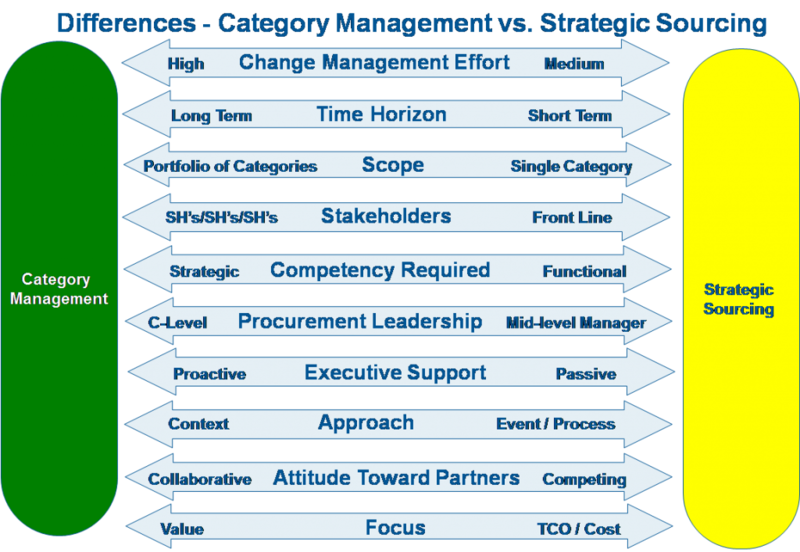 You are at:Home»Blog-News U can Use»Do you Know the Difference Between Strategic Sourcing & Category Management?- Leadership is EVERYTHING! 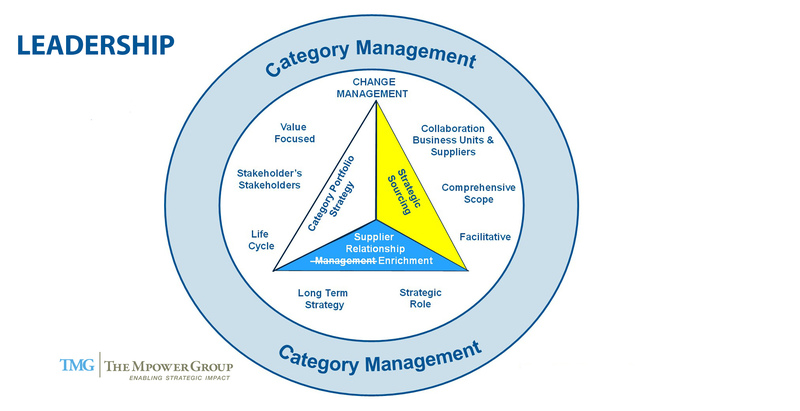 Making the transformation from Traditional Purchasing to Value Creating (Category Management) is HARD and takes years. But most importantly it takes a strong leader who has the ability to drive change while building relationships both internally (with executives and business unit leaders) and externally (with suppliers). Leading an organization that wants to make this journey is HARD. 98% of your job is selling the vision and the value of Procurement, first within your own organization (Procurement) and then throughout the entire company. Leaders who think that making this transition is all about changing the content (people, process and technology), don’t stand a chance. The best business case in the world (millions even billions in savings) does not address the biggest hurdle you will encounter – PEOPLE DON’T LIKE CHANGE! We have been saying for years (yes, I understand that at this point it sounds like preaching ) that the leaders job MUST be about changing the context – how the organization views and accepts the role of Procurement as a Strategic Business Partner. That does not happen overnight- Procurement must prove its value everyday by delivering superior business results. When we develop a reputation for being the cost cutters (as we often do under Strategic Sourcing) it’s HARD to overcome that perception. 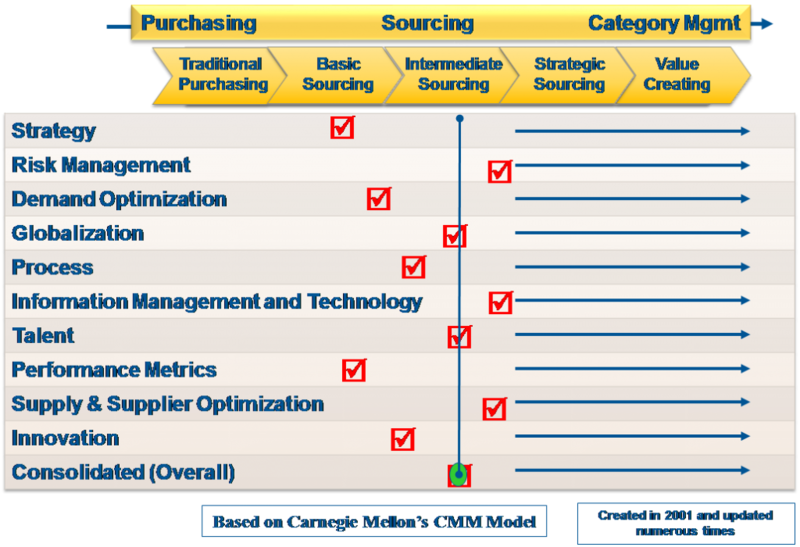 By the way, making the transition from Traditional Purchasing to Strategic Sourcing (an interim level to get to Category Management) we ALL start by delivering cost savings which is NOT a bad thing, BUT if you want to move beyond Strategic Sourcing, you need a leader that recognizes that a relentless focus on cost will “COST” you  a seat in the C-Suite. That leader must have a clear vision and road map to move beyond a cost focus to make the transformation happen. Relationships drive the path forward and it is hard to build relationships with your Executives and Business Units unless cost savings is as important to them (one of their key metrics) as it is to you (usually Procurement’s key metric). Much of your leader’s time will be spent with the executives of your business(s) understanding their key objectives to ensure that your category strategies support (and even grow) the business (while not giving up on getting a fair deal in the supply market) and with suppliers(making your company a “Customer of Choice”). In addition, your leader must have the right competencies (personally) and in her/ his organization to make the transformation happen. It’s tough, I’ve been there! But this journey is EXCITING, career-making and can have a significant impact on your business to the point where the Procurement organization can be a competitive differentiator for your company. It is ALL about Leadership and a strong leader is necessary to make the transformation a reality. Next Article The Road to the C-Suite Through St. Louis?